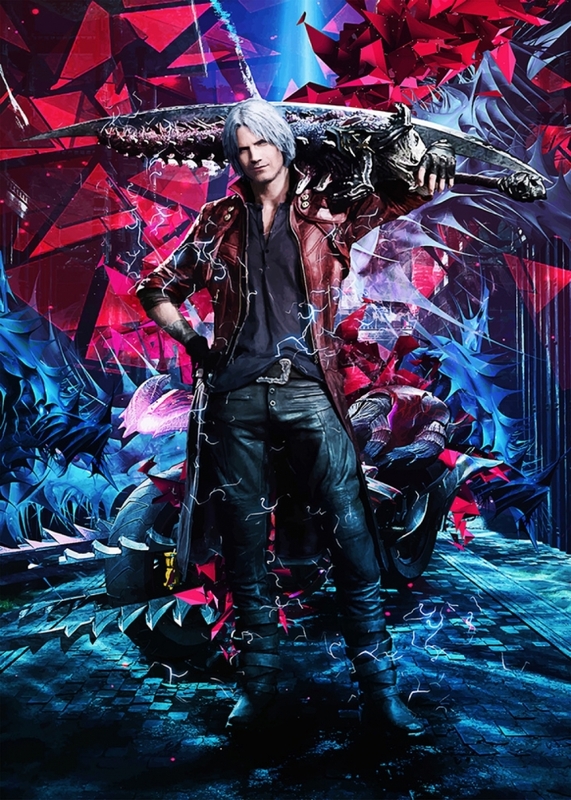 Devil May Cry V Standing Dante holding full awaken sparda in his sholders looking smooking hot and ready for action! Abstract fanart artwork tribute using the keyart colors with abstract 3d elements, brushes and auras. Get this print as poster, canvas or even as Metal Print in the following bottoms links!